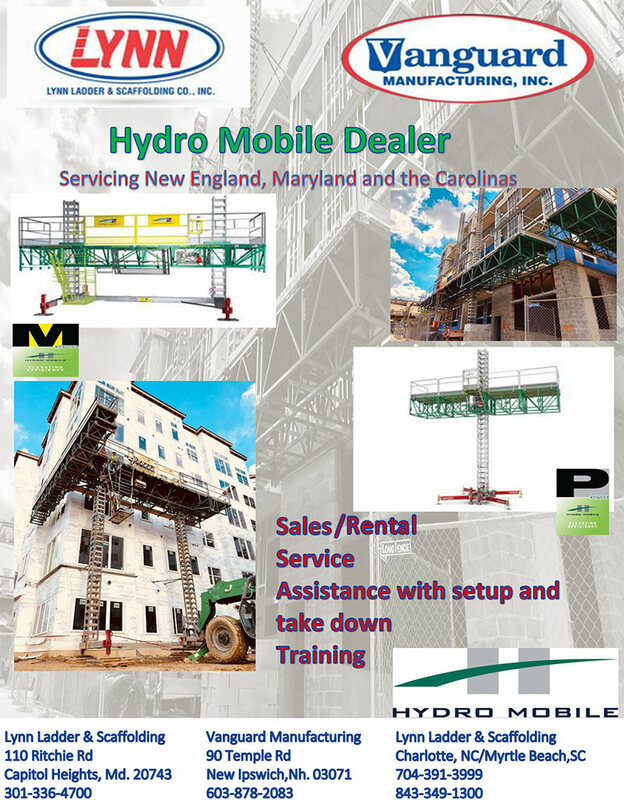 Lynn Ladder & Scaffolding Co., Inc. has over twenty years experience as a certified dealer of the Hydro Mobile line of products. We at Lynn Ladder & Scaffolding Co., Inc. are happy to assist you with site lay-out and incorporating your expense into a bid. We can train your staff how to run these well-designed systems, or if you prefer, we have staff available for product installation, operation and disassembly. For product recommendations and pricing, contact your local branch (see above) today. We look forward to working with you!